John Burgess Wilson was born in Harpurhey, Manchester, on Sunday 25 February 1917. His mother, Elizabeth Burgess, was a singer and dancer on the music-hall stage in Glasgow and Manchester. His father, Joseph Wilson, played the piano in music halls and worked as a door-to-door encyclopaedia salesman before joining the Army Pay Corps in the First World War. 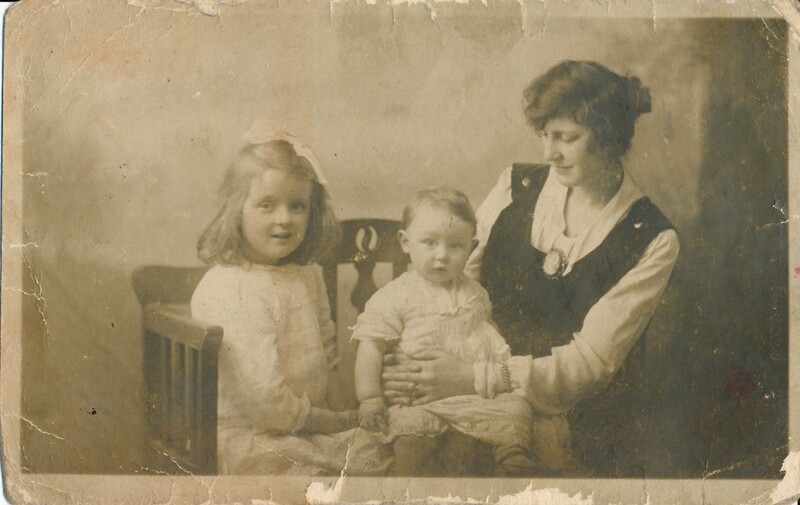 Burgess’s mother and his only sister, Muriel, died in the influenza epidemic of 1918. The loss of his mother had a profound effect on his life and literary work. In 1922 Joseph Wilson married a publican, Margaret Dwyer (née Byrne), and the family lived above a pub, the Golden Eagle, on Lodge Street in the Miles Platting area of Manchester. By 1928, when Burgess enrolled at his secondary school, they had moved to Moss Side, where he wrote his earliest published poems and short stories. He composed his first symphony at the age of 18. Burgess was educated at Xaverian College and the University of Manchester, graduating with a degree in English Literature in 1940. He served in the Royal Army Medical Corps and the Army Educational Corps from 1940 until 1946. In 1942 he married his first wife, Llewela (Lynne) Jones, in Bournemouth, while he was the musical director of an army dance band. From December 1943 he was stationed in Gibraltar, where, as a member of the Army Educational Corps, he taught a course entitled ‘The British Way and Purpose’ to the troops. In August 1945 he composed a Sonata for Cello and Piano in G minor, which is his earliest surviving musical work. After the war, Burgess taught at colleges in Wolverhampton and Bamber Bridge. In 1950 he moved with Lynne to Adderbury in Oxfordshire, and taught at the nearby Banbury Grammar School. His first full-length stage play was completed in 1951. Around this time he wrote his first two novels, A Vision of Battlements, which drew upon his experiences in Gibraltar, and The Worm and the Ring, although neither were published until several years later. In 1954 Burgess and Lynne moved to Kuala Kangsar in the Perak province of Malaya, where he taught at the Malay College. In 1956, his first published novel, Time for a Tiger, appeared under the pseudonym ‘Anthony Burgess’. He continued to balance his teaching and writing careers, completing his Malayan Trilogy with the novels The Enemy in the Blanket (1958) and Beds in the East (1959). Writing as John Burgess Wilson, he published a history of English literature in 1958. Lynne and Burgess moved from Malaya to Brunei, but late in 1959 he collapsed in the classroom. He was discharged from the British Colonial Service and flown back to England with a mysterious illness, which was wrongly thought to be a brain tumour. His prolific literary output as a novelist began at this time, as he sought to provide for his prospective widow. By the end of 1962 he had published seven novels, including The Doctor is Sick, The Worm and the Ring, A Clockwork Orange and The Wanting Seed. Working collaboratively with Lynne, he translated three novels from French . He also adopted another pen-name, publishing two novels, One Hand Clapping (1961) and Inside Mr Enderby (1963), as Joseph Kell. His work as a literary journalist, and as a frequent contributor to television and radio programmes, began in 1961. It was clear that Burgess was no longer dying. The following decade was prolific, with Burgess publishing another five novels before 1970, as well as a variety of critical works, including his shortened edition of James Joyce’s Finnegans Wake. Around this time he also worked on an abridged edition of Ulysses. After a long illness, Lynne died from liver failure in March 1968. Later that year, Burgess married Liliana (Liana) Macellari Johnson, an Italian linguist and translator. Together with Liana’s son, Paolo Andrea (later known as Andrew), they soon left England for Malta, beginning a peripatetic existence that was to last the remainder of Burgess’s life. They acquired various houses throughout Europe, including residences in London, Cambridge, Rome, Bracciano, Lugano and Callian in the south of France, before settling in Monaco in the mid-1970s. Throughout this period Burgess continued his prodigious output as a novelist, poet, screen-writer, broadcaster and composer. His television credits include Moses the Lawgiver, starring Burt Lancaster, Jesus of Nazareth, directed by Franco Zeffirelli and featuring Robert Powell as Jesus, and the epic mini-series AD: Anno Domini. In total, he wrote thirty-three novels and more than twenty-five works of non-fiction, including two volumes of autobiography, Little Wilson and Big God (1987) and You’ve Had Your Time (1990). There are three published volumes of his essays: Urgent Copy (1968), Homage to Qwert Yuiop (1986) and One Man’s Chorus (1998). Burgess’s most substantial novel, Earthly Powers, was published to international acclaim in 1980. George Steiner wrote in the New Yorker: ‘The whole landscape is the brighter for Earthly Powers, a feat of imaginative breadth and intelligence which lifts fiction high.’ Earthly Powers was awarded the Charles Baudelaire Prize and the Prix du Meilleur Livre Etranger in France in 1981. Burgess also composed more than 200 musical works, stimulated in this activity by the 1975 performance of his Symphony in C by the University of Iowa. He wrote the lyrics for the award-winning Broadway musical Cyrano, with music composed by Michael Lewis and featuring Christopher Plummer in the title role. His ballet suite about the life of William Shakespeare, Mr WS, was broadcast on BBC radio. He wrote a song cycle based on his own poems, The Brides of Enderby, along with musical settings of texts by T.S. Eliot, James Joyce, D.H. Lawrence and Gerard Manley Hopkins. Blooms of Dublin, his musical adaptation of James Joyce’s Ulysses, was broadcast on BBC radio in 1982. He also provided new libretti for Scottish Opera’s Glasgow production of Oberon in 1985 (revived in Venice in 1987), and for the English National Opera’s 1986 production of Carmen. Even when he knew that he was dying from lung cancer, Burgess continued to write and compose music. His novel about the murder of Christopher Marlowe, A Dead Man in Deptford, was published in 1993. His stage play, Chatsky, starring Colin Firth and Jemma Redgrave, was produced at the Almeida Theatre in London in March 1993. He completed his St John’s Sonata on 12 November 1993. 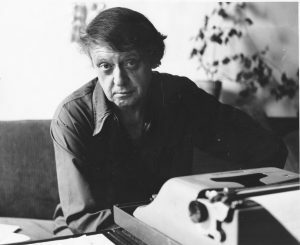 Anthony Burgess died at the age of 76 in London on 22 November 1993. His last novel, Byrne, was published posthumously in 1995. Andrew Burgess Wilson died in London from a cerebral haemorrhage in 2002. Liana Burgess died in Italy on 3 December 2007. 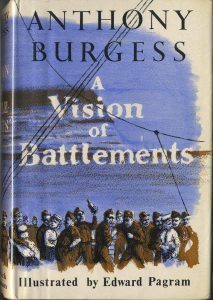 In recent years there has been a worldwide revival of interest in Burgess’s writing. 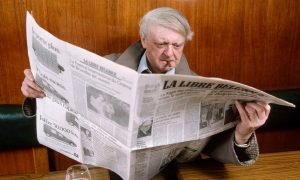 There have been many reprints and new translations, and the first volumes of the Irwell Edition of the Works of Anthony Burgess have been published by Manchester University Press.